Why we are losing the battle against Islamic Extremism – and how to turn the tide. Dr. Ibrahim has a unique and valuable perspective on security strategy and counter-terrorism, and I believe would be a major contributor to public discourse and policy formulation in the area of fighting extremism. Piercing and hard-hitting, Dr Ibrahim pin-points the menacing rise of a radical ideology that is fueling ISIS, Al Qaeda and terror cells world-wide. More than thirteen years ago after the “War on Terror” was declared, many in the West now feel less secure than ever before. Many security experts believe global Jihad is on the rise throughout the West, and yet these same experts do not know how to stop the rising tide. Military action abroad and police action at home have only attended to the symptoms of terrorism, not the cause. The root, according to Dr. Ibrahim, is actually the extreme ideology of Wahhabism—the puritanical, reactionary, isolationist, xenophobic, and bigoted sect of Sunni Islam that has been the ideological bedrock of groups like Al Qaeda, ISIS and others. Foreign policy, socio-economic factors, alienation, and identity are often invoked in explaining the rise in radicalization, and while they do have a role to play, these are secondary factors. 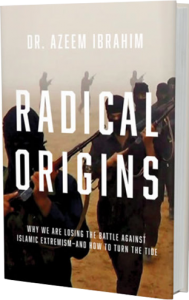 The primary cause is ideology, and Dr. Ibrahim places the origins of this radical extremism in historic context in a cogent manner, while also articulating specific policy goals and social action points going forward. 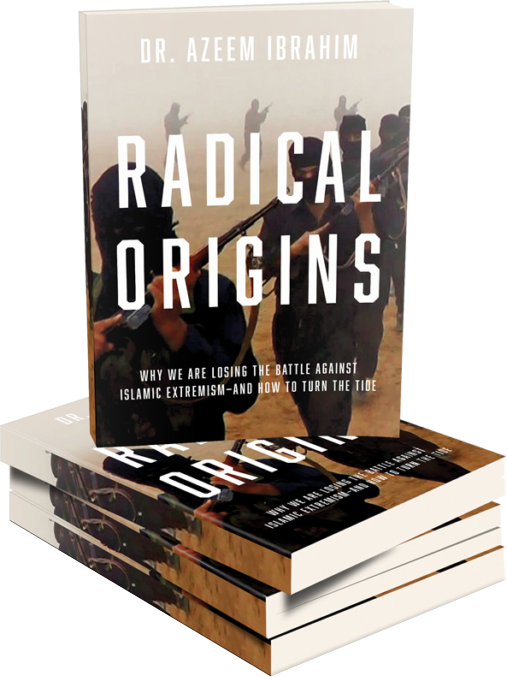 In his groundbreaking Radical Origins, Dr. Ibrahim provides an accessible primer on radicalism, an understanding of jihadist history, and a way forward, debunking misconceptions about Islam and this jihadist offshoot along the way. This remarkable work culminates in a powerful body of evidence about how to contain, reduce, and stop the spread of radicalization once and for all.